When you are looking for a great car do you consider what the model sold the previous year? Sometimes the most popular and best-selling models are the right choice because many of us are in the same boat in life, living on a budget, needing a vehicle that will offer great quality at a price we can afford. With that in mind, maybe having a car that is one of the top selling models from the previous year will help you make your decision to purchase a particular model because if others are choosing it, then this model might be right for you as well. Many of these models are ones you see on the road daily that you might wonder why someone is driving them, or you may see them in your neighbor’s driveway and look in awe and amazement at the great vehicle they own. Either way, these models were the top sellers for the 2014 model year and don’t appear to have any slowing for the current year either. With a new design for 2014 the Rogue showed up with a much more attractive appearance and no longer carries the title of being a Sentra-based crossover. The Rogue is one of the most popular models for it size, look and performance that give it a fantastic feeling when driving this awesome SUV. This is no surprise as many shoppers are looking to more upscale models and this is the upscale version of the Chevrolet Silverado. By moving to the Sierra many shoppers found themselves falling in love with the capability as well as the added benefits of higher end features inside the truck. As one of the most recognizable names in SUVs, the Explorer offers a great size that isn’t too large in order to enjoy the benefits of driving an SUV. When looking for a great SUV this is the choice many make, even when they don’t know why and thankfully the Explorer keeps on outperforming its expectations. Even though many make jokes about the Prius, driving one gives an awesome amount of fuel efficiency as the world leader in hybrid engineering and technology. The sales are no joke either as the Prius has been, is and continues to be one of the most popular cars on the market today and offers a variety of models to choose from. The Sonata has gained huge popularity over the years for the gorgeous style and the dynamic driving of the car. The restyle for 2015 should certainly help this car continue to offer itself as a leader in the world of the family sedans as it continues to delight buyers and look great on the road. As the value option from Hyundai, the Elantra gives us a car that we can drive that looks awesome while still offering a price that is not out of range. The Elantra appears to be a bit upscale from the detailed design structure, but offers a great value for both fuel efficiency and price, making it one of the most popular models on the market today. The Ford Focus shows up at a price and with the equipment so many love and want to enjoy. With several different options to choose from the Focus is a great car that can have many different looks and power plants. As an unapologetic compact car, it’s no real surprise the Focus makes this list. As a great small SUV the Equinox has experienced outstanding sales results even though the look and equipment are nearly due for an update. This crossover SUV ensures shoppers understand clearly the importance of competency over the cutting edge looks of many other SUVs that are entering the market. The Equinox continues to be an SUV that makes the right choice easy for so many. The RAV4 is roomy, well put together and offers a great look for so many to enjoy. As an SUV that has now gained its own brand recognition and popularity, the RAV4 shows up on this list as a remarkable SUV that gives us everything we want in an SUV, size, power, performance and capability. Compact cars are making their way on the market in gangbuster style, especially since gas prices seem to be stuck above the $2.00 per gallon mark. This makes the Chevrolet Cruze a great choice as a small sedan that not only offers awesome fuel mileage but also a ton of great features to enjoy including the 4G LTE Wi-Fi. The compact crossover SUV market has flourished for the past few years as shoppers have learned they want an SUV, but don’t want the massive size of a full-size model. This makes the Ford Escape a great choice with peppy performance, good space and an attractive look, it’s hard to pass up the Escape as the sales numbers tell us. The Fusion is the larger sedan that offers an absolutely gorgeous style that makes it look nearly luxury and a performance that can’t be argued with at all. After a redesign for the 2013 model year the Fusion gained a massive amount of popularity that simply carried over strong into 2014 to make it one of the best-selling vehicles for the year. After being made is a wide array of body styles the Civic still reigns high on this list and sells a huge amount of models each year. The Civic is updating itself for the 2016 model year and offering in the US a model that may take this car to the top of the sales board overall with amazing power and performance. When you think of a great performing SUV the CR-V has to be on the list. As one of the most versatile and mild-mannered vehicles, the CR-V has gained a very loyal following of soccer moms and outdoor enthusiast alike making it hard to beat. The all-around utility of the CR-V is absolutely amazing and makes for one of the most popular choices in a mid-range SUV. As the middle range sedan from Nissan, the Altima has always been a very popular choice. This sedan offers gorgeous looks and a great performance at a price that many can afford, generally that is all the recipe needs for success and the Altima learned it long ago. The Corolla continues to be one of the most popular cars sold in America. The compact size and longstanding popularity and reliability make the Corolla a choice that many have made more than once. With an attractive redesign the Corolla shows up as a great looking car that so many love to drive. The name Accord has been synonymous with reliability for many years. If that was all that was known about it, about half the sales would still happen, but the Accord also offer excellent space inside for the whole family and a fun driving experience making it one of the best-selling cars on the road today. The change to the semi-looking front end has brought more popularity to the Ram trucks. Adding the power and performance most need makes them even better. Known to have one of the best engines in the truck segment the Ram shows up with a 305 horsepower 3.6-liter Pentastar V6 that brings in the popularity it experiences on this list. More space than the Corolla along with even more power and driving performance make the Camry one of the top three most popular models not only for 2014, but for many years previously. The added equipment and versatility of the lineup have seen more sales of this car than nearly any other on the market for many years, which is expected to continue. As the list began with the upscale GMC Sierra, many have told us the Silverado has plenty to offer and have chosen this truck as their vehicle of choice, even for daily driving. As a powerful, rugged and enticing choice, the Silverado is still the “heartbeat of America” it always has and ends up in the second spot on this list for 2014 sales. There is no surprise here as the brand that has sold the most trucks worldwide for many years continues to be the leader in America as well. 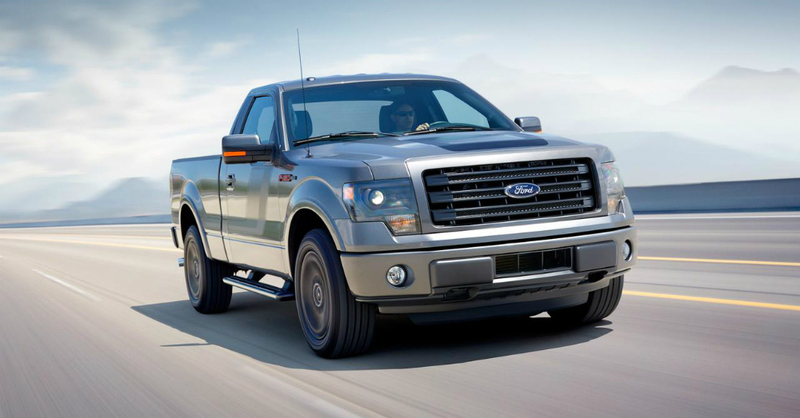 The new aluminum-intensive body construction for 2015 helps it continue to lead the way into the next generation of truck models and clearly puts the F-Series at the top spot for vehicle sales for all of 2014. Whether it’s an SUV, sedan or truck that is what you need to get your work done or enjoy your weekend excursions, you can see from this list there are several to choose from that might be perfect for you. As the top selling vehicles from 2014, each offers its own version of what it should be in an air of perfection for you to fully enjoy and take advantage of as you drive down the road or head off road to your next destination. Next → Next post: Is Buick Offering a New Flagship Sedan?